Published On Wednesday, August 24, 2011 By admin. 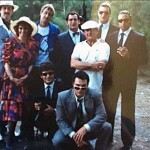 Under: Behind the Scenes, Featured, Fun & Games, News, Only Fools and Horses. Yes we have all had the dream of kipping at Dels flat with a few mates and a few cans. Sharing laughs with Del and Rodney while listening to Trigger in one ear and Boycie in the other. 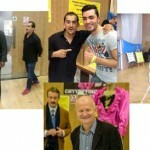 But now 30 years on its all coming together as part of the Only Fools and Horses 30th anniversary. Designers admit it was a real struggle finding the palm tree wall paper, but doesn’t it look wonderful! Does Del know about this? 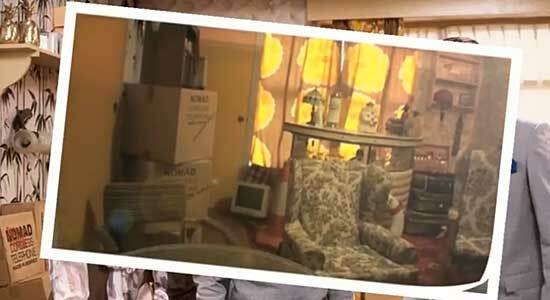 So can you name the 4 items that were consistently seen in every episode of Del boys flat? It took the designers around 40 hours to build the flat. 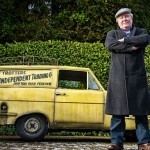 Perry has have been recently involved in Del Boy’s iconic pad, lovingly recreated by TV channel Gold to celebrate the show’s 30th anniversary next month. Fans are even being given the chance to stay there. WE are offering one lucky reader and one guest the chance to stay in the recreation of Del Boy’s flat on the night of Friday, September 2. For a chance to win, email features@the-sun.co.uk with your name and number and the subject line Del Boy. One entry per person only. Entries must be in by midnight TOMORROW, August 25. Over-18s only. The winner will be chosen at random and required to provide a credit card to cover any damage. Dates not variable. Winner will be contacted within three days – if not contactable, prize will be redrawn. Flat is non-smoking. Check out by noon on September 3. Takeaway evening meal provided. Transport included from any London station. 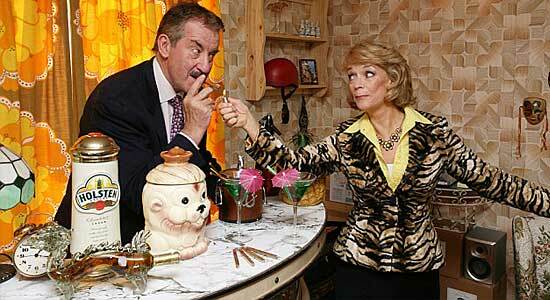 You might even get Marlene thrown in! How do I book a night at dels flat ? 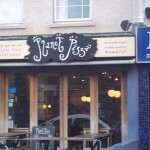 This was years ago, I think it was a one off, the flat is no longer avalaible. hello this is fantastic news,,iam a life long harden only fools and horses fan.this would be my dream to stay in the flat for one night..pze could you make this possible.thankyou so much for taking the time to read this. 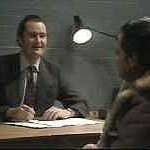 Hay there…I’m from Slovenia ( former Yugoslavia ) and I wish just to tell you that OFAH during the 80’s had an outstanding success in my country…I have all the dvd’s and my abdominals still hurts because of laughing everytime I watch them…and I watch them every day…at list one episode… Lovely jubbly to everybody…hehehehehe…plonkers…. I’d love to stay in the flat but im only 14 and a giant fan of it ever since i started to watch it with my grandad. how can we book the £18 a night trotters flat please ??? As shown on the GOLD Facebook page. 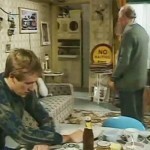 I would like to know how to book a night at del boys flat please\.if you could let me know.